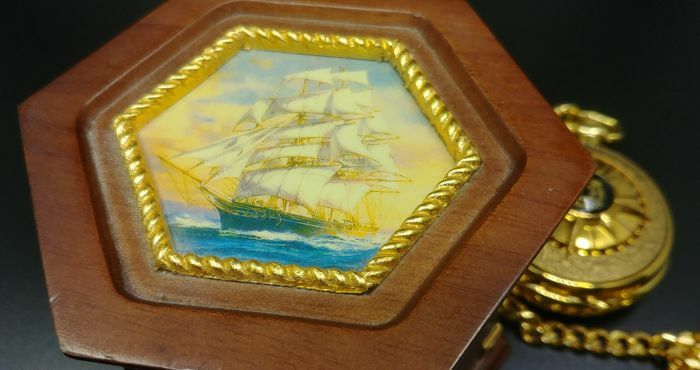 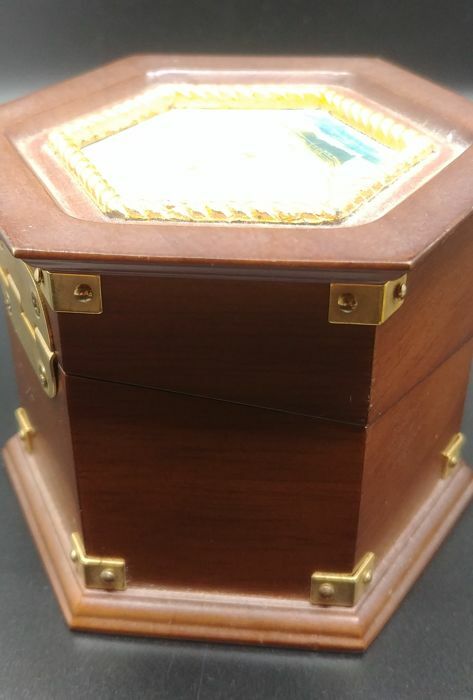 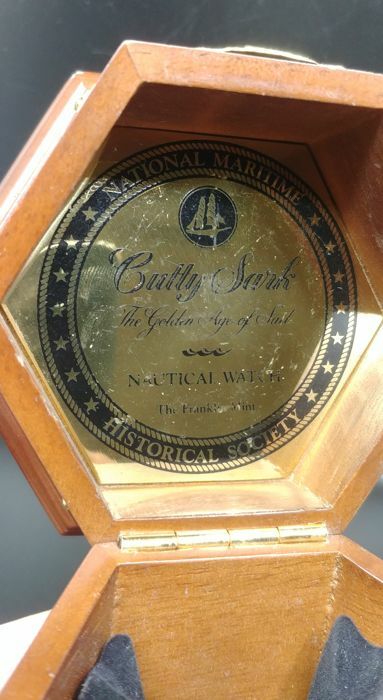 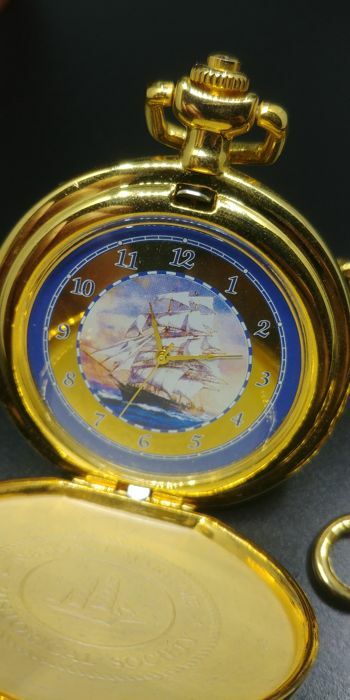 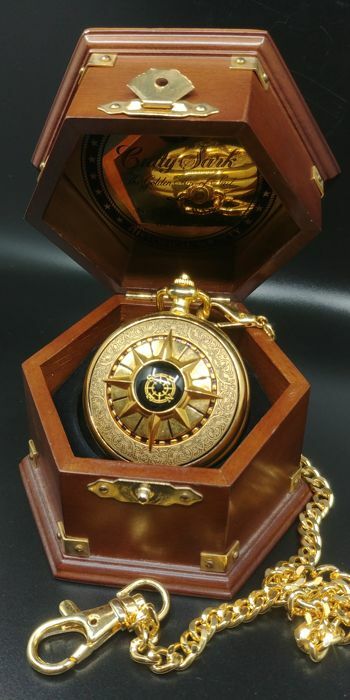 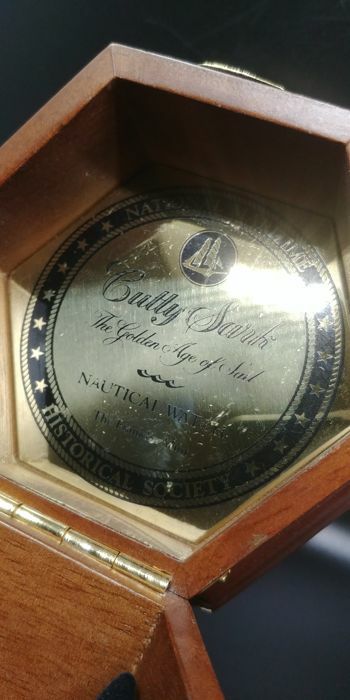 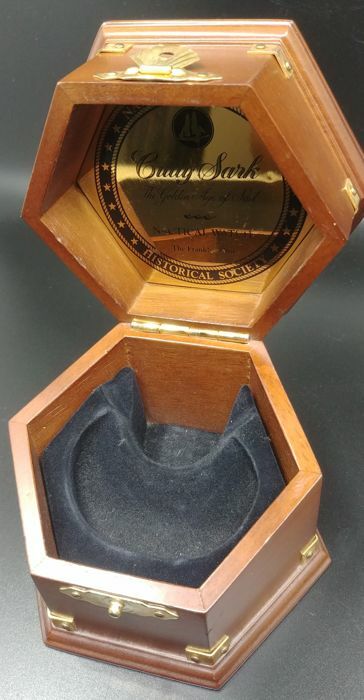 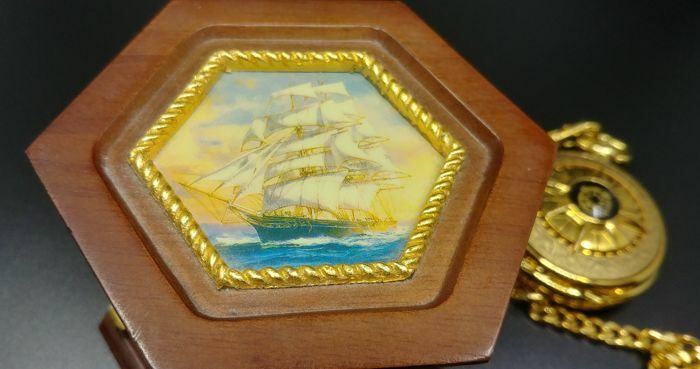 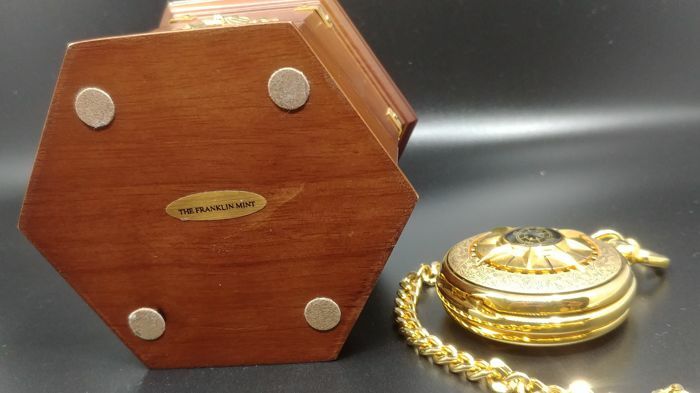 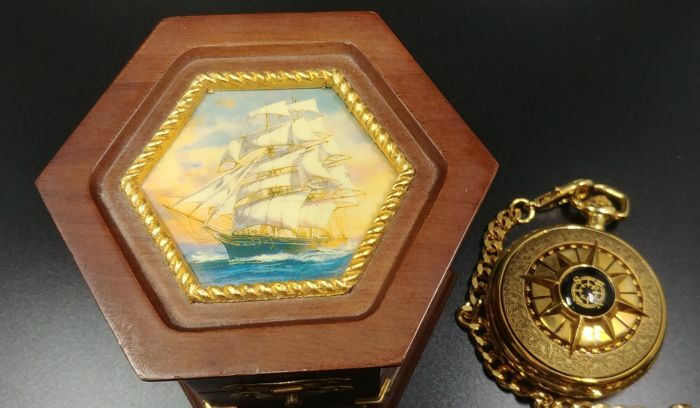 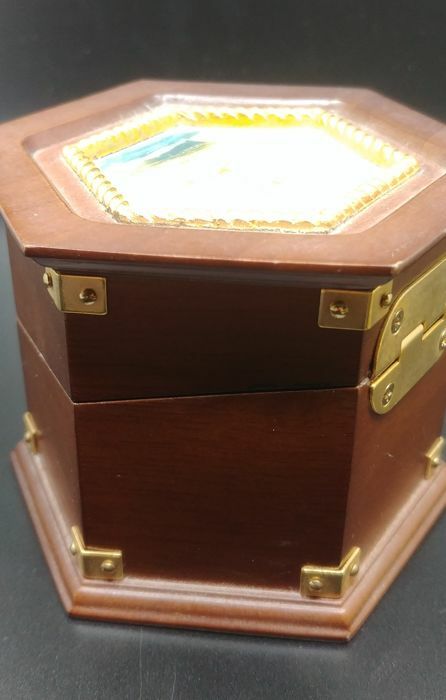 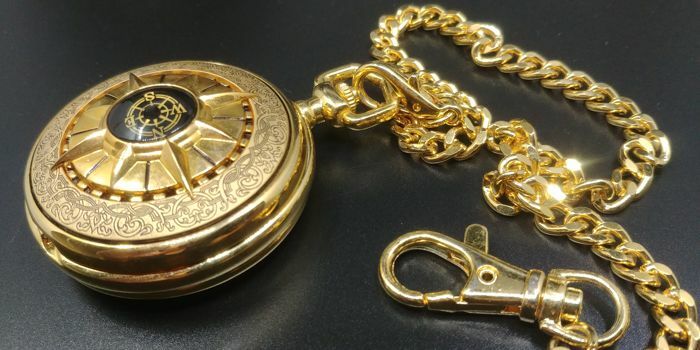 Franklin Mint Cutty Sark Nautical Pocket Watch. 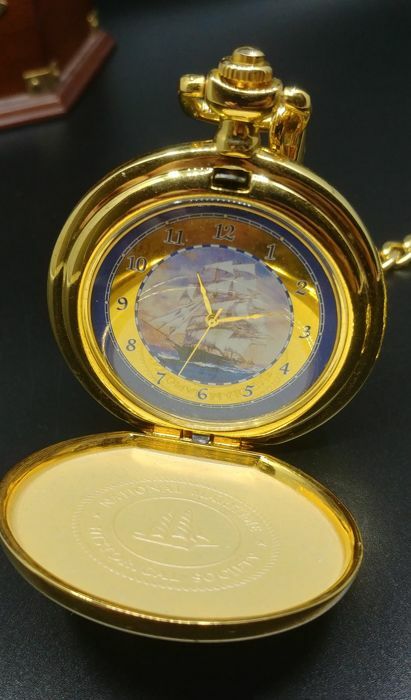 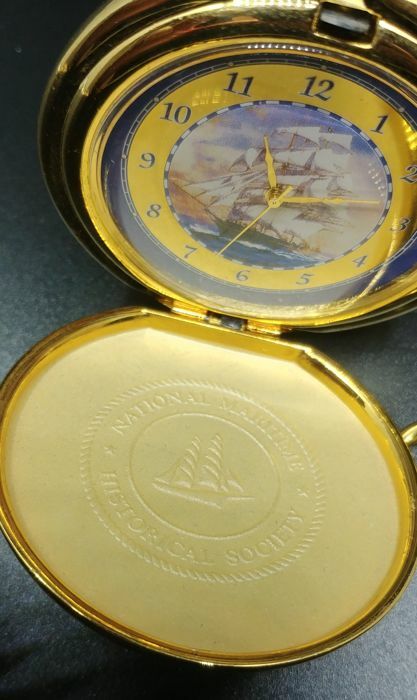 This is a modern collectible nautical pocket watch from the Franklin Mint depicting the Cutty Sark sailing vessel. 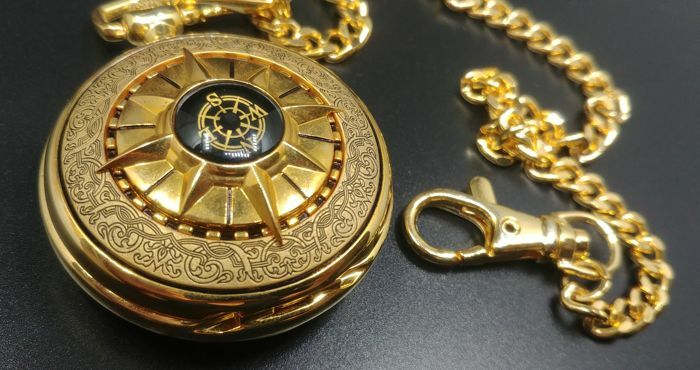 On the front of the watch it comes with a working compass. 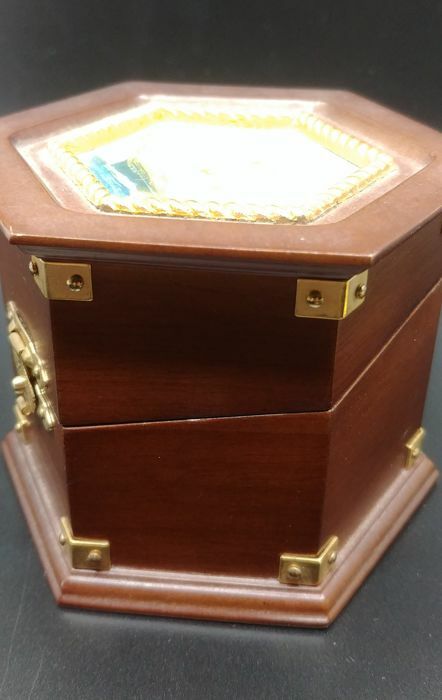 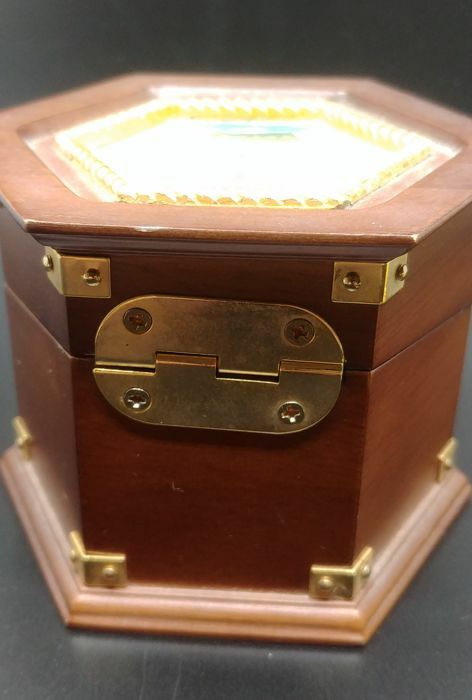 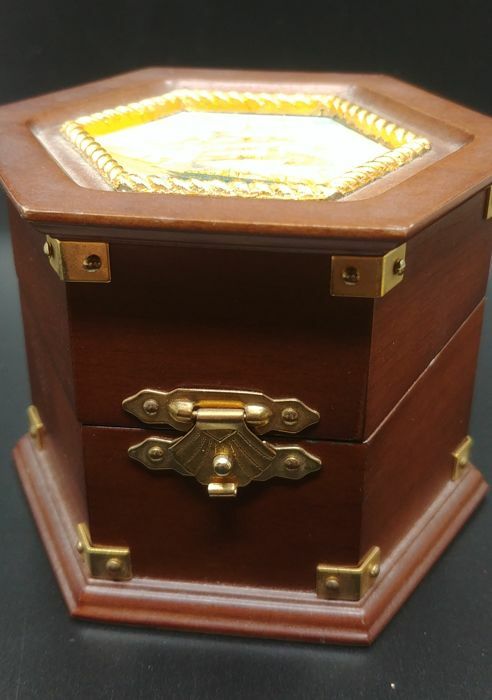 This item comes with the custom designed wooden display case made as a maritime storage chest. 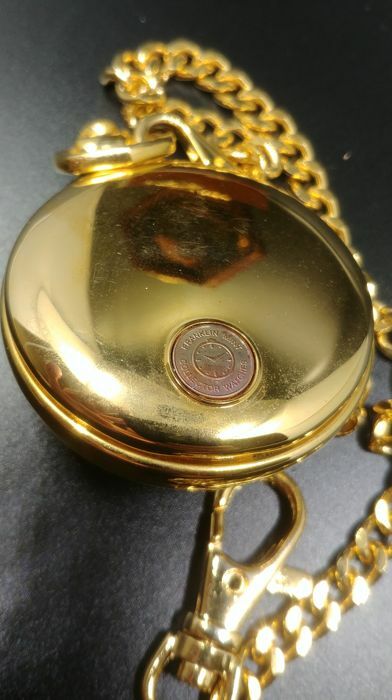 Watch face is 5.3 cm, chain is 36 cm length. 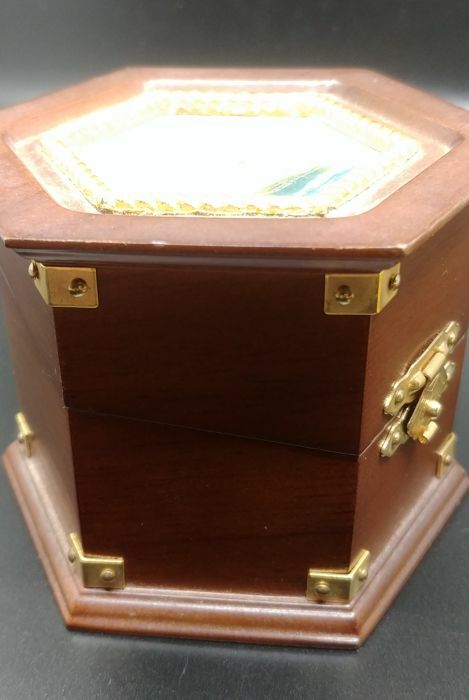 Please see the numerous pictures in order to get a good idea of the exact condition of the object.